The Hullegeb Israeli-Ethiopian Theater ensemble, under the artistic direction of Moshe Malka, was established in 2004 at the initiative of Confederation House and the Ministry of Culture. 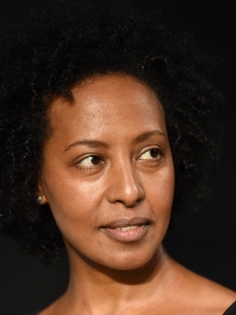 All of the ensemble’s works draw upon both Ethiopian and Western culture and have enjoyed the acclaim of audiences and critics and significant media attention and have received important awards. The theater’s artistic and social aims are to provide a stage for actors of Ethiopian origin; to give expression to social distress and problems through artistic works; to show Israeli audiences the complexity and richness of the Ethiopian community in Israel; to create a quality and professional alternative theater on a high artistic level; involvement in the Ethiopian community through drama workshops for youth and the Hullegeb Israeli-Ethiopian Arts Festival; to deal with universal questions related to alienation, minorities, immigration, racism and class discrimination through artistic media. 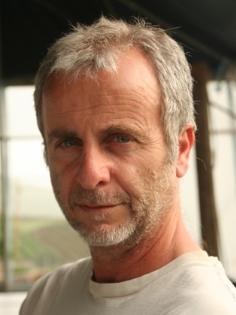 Moshe Malka is an actor, director, playwright, acting instructor and Alexander Technique teacher. He began his career as an actor at the Khan Theater and later played in the Youth Theater, Habima, and the Itim Ensemble directed by Rina Yerushalmi. He developed a method of instruction for actors that combines Alexander Technique, actors’ tools, and Shakespearean texts. He likewise developed an original physical-clowning theatrical idiom called Zits. Through it he created street theater, modern clowning performances and plays without words. His plays have participated in festivals in Israel and abroad and have won prizes. In 2002 he directed the play “Blacks” by Jean Genet at the Acco Festival where it received an honorable mention. 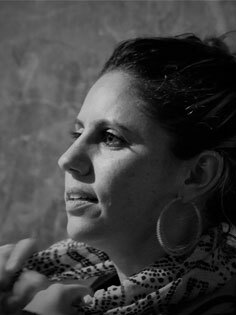 Malka also served as the artistic director of the Bat Yam International Street Theater Festival, created the play “Behind the Wind” at the Na Legaat Theater of the Deaf and Blind and teaches acting in various frameworks. 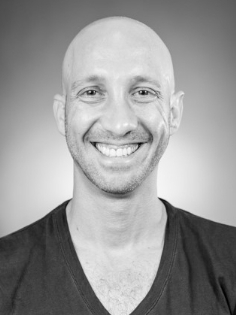 Born in 1984, Nir Landa has been a member of the Hullegeb Theater since 2011. 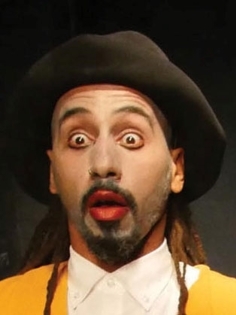 Nir simultaneously directs the theater and performs as actor specializing in physical theater and has his own street theater company. He holds a B.A. in theater and international relations from the Hebrew University of Jerusalem and an M.A. in management of non-profit organizations. He is a graduate of the artists’ incubator of the Karon Theater. Among Nir’s responsibilities at Hullegeb are development and resources, contacts with donors, marketing and publicity for the general audience. 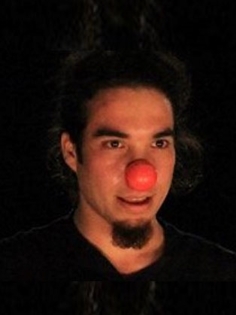 He acted in the play Cubes Circus (Train Theater), which received the ASSITEJ Prize for best interdisciplinary play, Best Performance at the International Puppet Theater Festival Red Mood (Moscow) and Best Play at the Festival Cirkul'art in Slovakia. He is actor/creator of The Dickerman Retirement Home (Mashu-Mashu Theater), named Best Play at the crossingboundaries Festival in Kenya. Hadas Kidron born in 1983; lives in Jerusalem. Studied in the Theater Department of the Hebrew University of Jerusalem (2008) and in the Theater Department of Tel Aviv University in the acting/playwrighting track (2011). During the course of studies participated in various productions in several roles; acting, directing, producing and stage design. Participated in movement improvisation workshops of Aviv Ivgi (2013), an acting workshop of Tali Sharon and Adva Bolle (2014) and in a playback workshop of Avi Reuven (2018). Wrote and directed the play “Lo lifnei ha-tavnit” (2012) presented at the Hebrew University; wrote and directed the children’s play “Shay ba-ir ha-kolot” in the framework of the Project Shay Association (2017). Former director of human resources, artist, producer and project administrator. Worked in marketing and social media management for the Mashu Mashu Theater for Social Change (2017–2018). Zvika was born in 1982. He is a graduate of the Jerusalem Academy of Music and Dance, specializing in classical ballet, jazz, and modern dance. He continued his training at the Alvin Ailey American Dance Theater School in New York. During his IDF service he was choreographer for the Army Ensemble of the Education and Youth Corps. 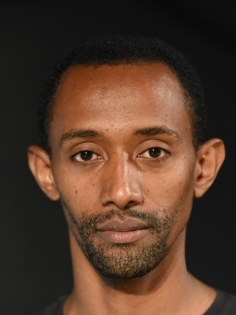 He joined the Hullegeb Theater Ensemble in 2013 and participated in the plays: Tsufit Pikado, Seychelles, A Love Story by Chulot, and Gi and Go. In the past he was choreographer and artistic director of the Beita Dance Troupe. The performance Moments premiered at the Inbal Dance Theater. From 2002–2006 he was a member of Bat Sheva—The Young Ensemble. He recently played the main role in the film Lady Titi. Heli Amresh Sanka was born in 1987. From 2012–2015 she studied acting at the Haderekh School in Givatayim, and from 2009–2010 she studied at Teatron Haheder directed by Amir Oryan. From 2012–2015 she played in the TV series “Mother’s Angel,” “Sahkan Zar” and “Israel”. In 2014 she played in the Nefesh Theater’s “She’ariyot Mehahayim,” in 2015 she played in the play “Shoko-Vanil” at the Hebrew Theater and since 2016 has been a member of the Hullegeb Ensemble in which she played in “Mark of Cain.” She is involved in dance, acting and education in several frameworks. She has participated in street performances and commercials and has served as MC at various events. 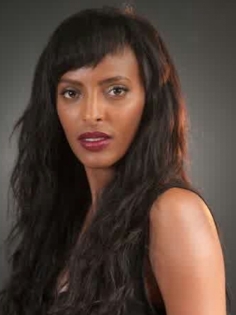 Tehila Yeshayahu-Adghe was born in 1973 in the village of Mai Lemomo in northern Ethiopia. She immigrated to Israel aged 10 in 1983 and grew up in Beersheba. She has lived in Jerusalem since 1994. She is a graduate of the School of Visual Theater (1999). In 2008 she joined the Hullegeb Theater Ensemble and starred in the one-woman play “On Her Own” which she performed on a tour in San Francisco. Since 2011, she is the house actress of the ensemble and has participated in all of its productions. Likewise, she played in the TV series “Mother’s Angel” (2016) and “The 1980s” (2016), among others, and in the films “The Ambassador’s Wife” (2016) and “Face to the Wall,” a short that competed for an Ophir Prize (2016). She participates in a variety of plays, holds acting workshops for children and youth at schools and community centers and has acted as MC at a variety of cultural events. Tehila is divorced and has a son and a daughter. BA in dance and Teaching Certificate from the Jerusalem Academy of Music and Dance. Studied one semester at the HZT—the Inter-University Center for Dance in Berlin, and a year at the Sandciel School of Circus, Theater and Dance. Dancer and independent clown in a variety of projects. Participated in productions for children with Machol Shalem Dance House and the Jerusalem Dance Theater. Participated as a dancer in works by choreographers Ronnie Heller, Annabelle Dvir, Maayan Gur and Ruby Edelman. Works in street clowning and character portrayals. Gives acrobalance workshops to groups. Temesgen Senbatu was born in 1983 in Gondar, Ethiopia. He immigrated to Israel at age 9 and grew up in Bat Yam. From 2009–2012 he studied at the Derekh School in Givatayim, where he starred in several productions. He also participated in TV series “One Zero Zero” (2011) and “Virgins” (2014) as well as in the play “Sarei hamilhama” at the Habima Theater (2012). 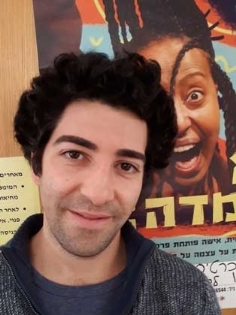 In addition to his participation in the Hullegeb Ensemble he is currently appearing in the plays “Pressure Cooker” of Haderekh Theater, “Hotza’a lapoal” at Tel Aviv University and “Leftovers” of Hanefesh Theater. Avi Pomberg was born in Israel in 1980. He lives in Tel Aviv. He is a graduate of the Yoram Levinstein Studio (2013). From 2013–2016 he studied acting at the Haderech Studio and in 2016 he did a year course in acting for camera under Ruth Dytches. He acted in the play Al kalut ha-da`t ve-tsviyut at Haderech Studio (2014), in the film Masa ha-taba`at (directed and written by Arik Lubetzky and Mati Harari, 2015), and in the Hullegeb Theater’s play Refugees (directed and written by Moshe Malka, 2016).